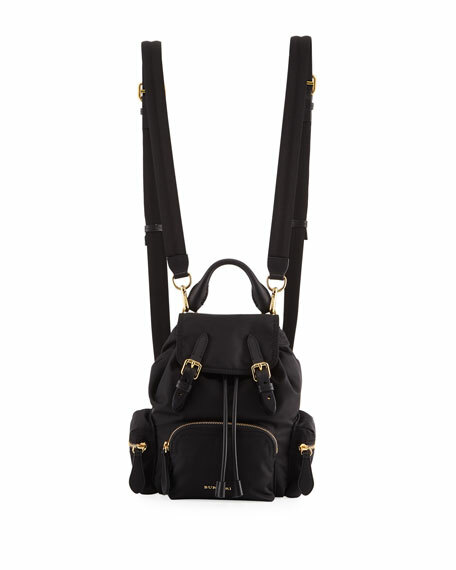 Burberry "Prorsum" rucksack with leather trim. Approx. 10.2"H x 6.3"W x 4.3"D.
Removable, adjustable canvas shoulder straps, max 43.5"L.
Flap top; press stud and drawstring closure. 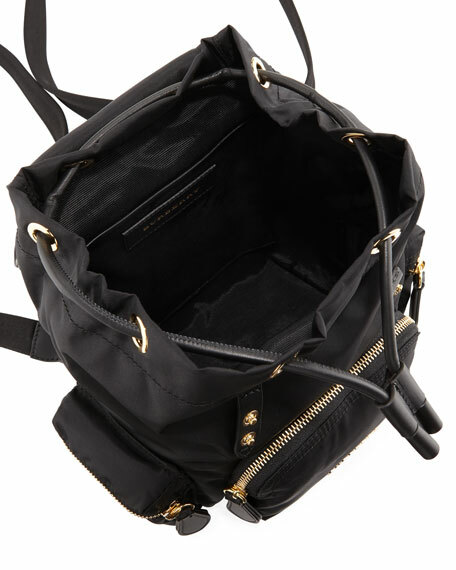 Buckles at front; three zip pockets. Interior lining, cotton/nylon; slip pocket.